← Check out the view from our balcony! 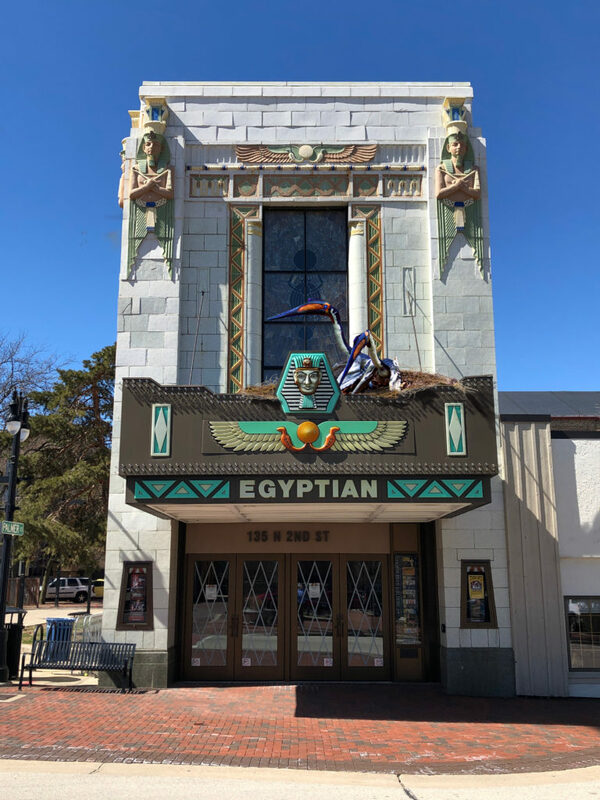 Exciting news in the Egyptian Theatre expansion! During preliminary excavation efforts for the expanded concessions and bathrooms an amazing discovery was made! Fossils! As rocks were being removed, an eagle-eyed employee noticed some interesting formations on these stones. Upon further investigation it was determined that these formations were actually fossilized dinosaur remains. The particular dinosaur is believed to be the Quetzalcoatlus, one of the largest species of flying dinosaurs. Two juvenile Quetzalcoatlus are pictured on the marquee to show their scale. We are very excited to share this discovery of the fossilized Quetzalcoatlus or as their Latin name refers to them, Aprilus Foolus.